A cozy corner of a bar, Onderdonk & Sons, on Onderdonk Ave. and Menahan St. in Ridgewood has been bringing a lot of joy to its patrons since it first opened on Thanksgiving last year. The owners, a husband-wife duo, Louise Favier and Brian Taylor are no newbies to the bar scene in Brooklyn and nation-wide (they own Pencil Factory in Greenpoint), and so the small neighborhood bar simply skipped the trial-and-error phase and has been awesome all along. Upon entry you will notice, besides comfy booths and timeless decor, the truly reasonable prices of beer, wine and mixed drinks this place offers. The drafts are $5 (and only $4 during the happy hours), while cocktails are $6 (and $5 during happy hours). Perhaps it was the fact that the bar operates only on tavern license and thus cannot serve any hard liquors that caused the owners to set the prices in a super-friendly manner. Lately, Onderdonk & Sons has also introduced their fantastic burgers ($7) and fries ($3). Come during happy hour and the $10 combo will include also a pint of Genesee. If you're willing to spend one more dollar (and you should! ), you can have any draft you want. Now let's talk a little about that burger, shall we? It is incredibly delicious; the bun is soft and seductive; and the beef is oh-so-juicy. The burger comes on a small plate, which gives the meal and an express feel but don't be fooled, the burger's size is very decent; it's definitely not a slider. When you pick up your burger you'll find one leaf of lettuce, a slice of tomato and a slice of onion. On the side a very nice pickle awaits your bite. Don't be shy and order a side of thin fries as well. They are very tasty, not greasy, and come in a manageable amount. The burger at Onderdonk & Sons is a very pleasant surprise. A surprise that might just keep you coming. We appreciate the simplicity of the idea. It's simply a really, really delicious and affordable burger. You don't have any options and crazy add-ons. It simply comes the way a good burger should. We, for sure, would appreciate a side of a salad instead of fries but we respect the owners' decision to keep things very simple and puristic. 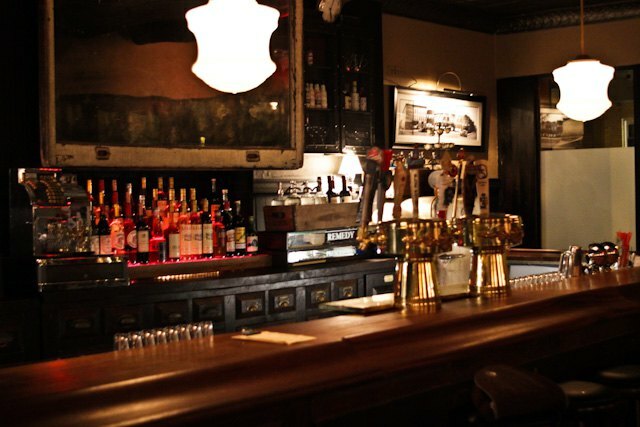 Onderdonk & Sons is gearing towards introducing weekend brunch. 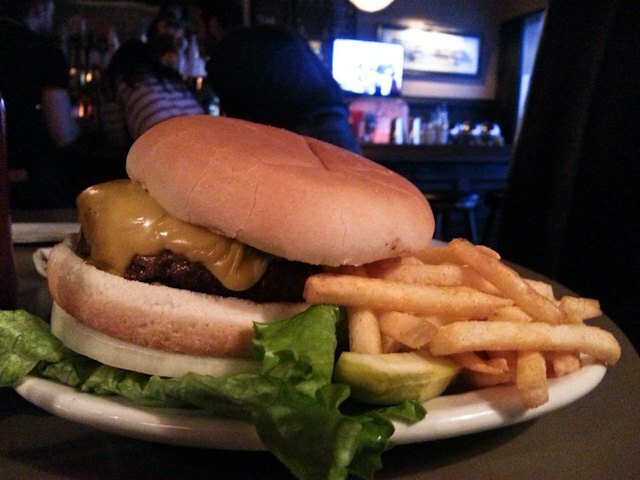 If it is as good as their burgers, it will definitely be worth your Ridgewood while!